Hello beautiful people! Summer is here, the sun is shining, the days are big, the spirit is high and the mood is bright (oh! did I just rhymed there? maybe not). A desperate need of some interior design changes was in the air for quite a long time now! So, when the lovely girls from the Fabric Yard contacted me for a guest blog post, I couldn't be happier! Fabric Yard is an online company with a great range of both retro and modern quirky designer cotton prints, based in the North coast of Ireland. They really had me at quirky! The hardest part was actually picking a fabric. I spent a good amount of time browsing through the endless fabric possibilities, unable to set on one. I seriously challenge you to pick just one fabric from the shop, without hesitating. 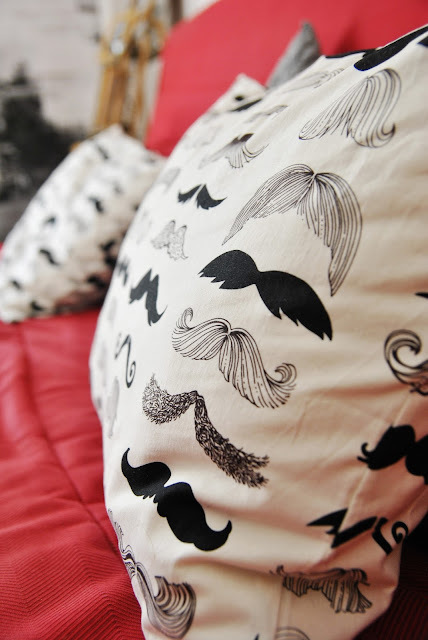 I finally settled for this amazing fabric, called "Where's My 'Stache?" in White, by Alexander Henry. They kindly sent me 2m of fabric, but then it came the second hard part, deciding what to do with it. I knew it would make a lovely skirt or pair of shorts, but I loved the fabric so much, I wanted to be able to see it everyday! And then it hit me! It had to be a home decor piece! And what better, than squishy, comfortable cushions? I made two large-envelope style- pillowcases for my plain-old white pillows, using this tutorial. The fabric is really a top notch cotton! It sewed and pressed amazingly good, and I couldn't be happier! 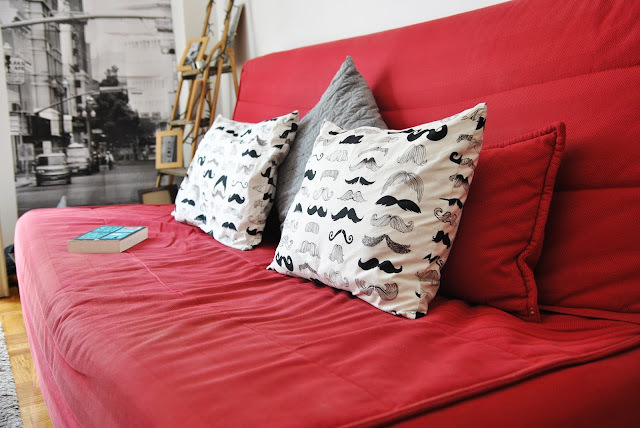 The cushions brightened up my living room instantly and they make me smile every time I pass by. I think, I'm a home decor sewing convert. I never thought it would be something I would enjoy, but I really enjoyed sewing these. A huge thank you to the Fabric Yard for sending me this amazing fabric for free is due! So, what about you? 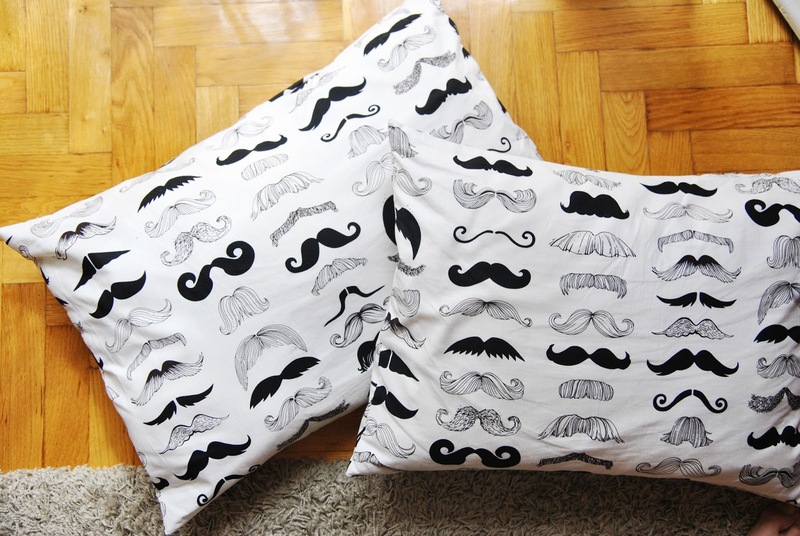 Do you enjoy sewing home decor pieces? 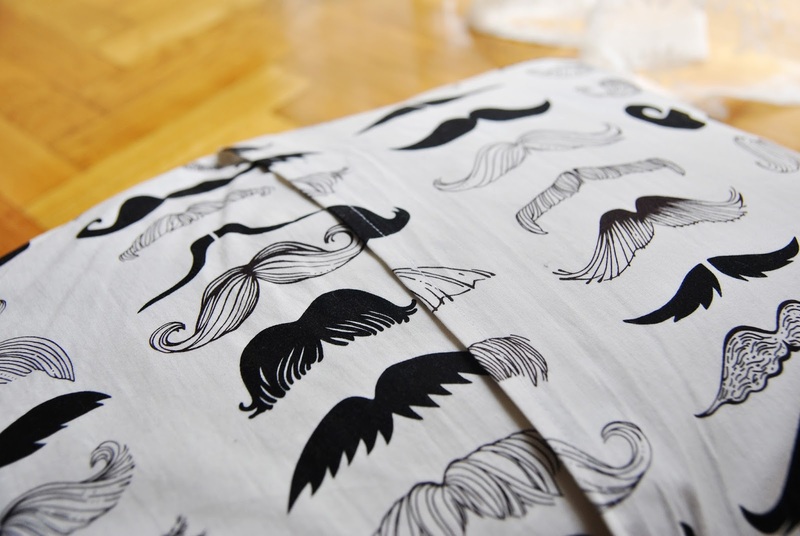 And are you a fun of quirky fabric prints?